Indulge your senses in the mountains and rivers of Laos and spend your nights at luxurious resorts. 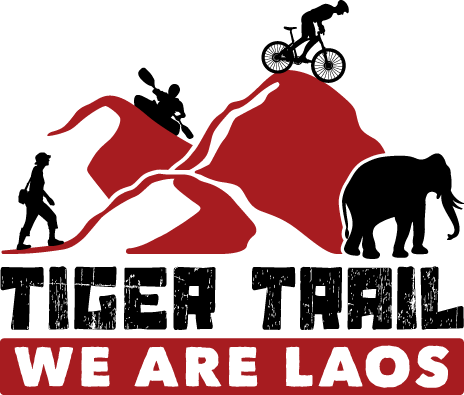 Journey south from near the Laos-China border to the UNESCO World Heritage site, Luang Prabang: by land and river we’ll travel through mountainous countryside in Laos, passing through Muang Khua, down the Nam Ou River, past Muang Ngoi, to visit Nong Khiaw. Enjoy Nong Khiaw from your resort on the banks of the river and enjoy an invigorating hike before a scenic drive to Luang Prabang. After breakfast you'll take a private minivan through the countryside of northern Laos to Muang La in Oudomxai province. The mountains surrounding Oudomxai, near the Chinese border, are home to various ethnic groups including Akha, Iko, Hmong, Khmu and more. Despite modernization many of these hill tribes still live traditionally and follow local and ethnic customs. You'll spend the night at the Muang La Resort. You'll choose from a variety of activities including bathing natural hot spring spas, sundeck lounging, taking local excursions, dining, trekking, exploring caves, experiencing a Baci ceremony and more, in addition to exploring the surrounding area of Muang La with your English-speaking guide on a bike tour and visiting local villages to enjoy the mountain scenery. This journey is a highlight of Laos, a combination of drive and traditional boat ride (4-5 hours) through spectacular countryside. On the cruise down the Nam Ou River you'll visit a remote jungle village, Sop Jeam, known for the production of some of the finest weaving in the country. Our destination, Muang Ngoi, is unforgettable for its scenery. In the early evening we’ll arrive in Nong Khiaw to spend the night in a riverside lodge. We'll start the day with a half-day hiking trip to the top of the second-highest point in sight, a spot offering the most scenic view of the Ou River valley. Before departing Nong Khiaw, visit the large Patok Cave where locals took refuge from bombing raids during the Indochina War. On the final leg of this tour we will take a private minivan to the UNESCO World Heritage Site, Luang Prabang, 3.5 hours.